A long-cast trend for Spring Summer 2015, Photosynthesis, is all about nature, plants, leaves and the thousands of shades of green. Technically speaking, photosynthesis is a process used by plants to convert light energy (from sun) into chemical energy which acts as a fuel to run their various activities and this processing and conversion of energy occurs through leaves. However, in fashion terms, this trend can be interpreted in interesting ways. Besides, this theme’s open-endedness offers an opportunity for personal interpretation and plenty of experimentation. For me, the essence of ‘photosynthesis’ lies in its quality of being natural and organic. The color here becomes purely conceptual. 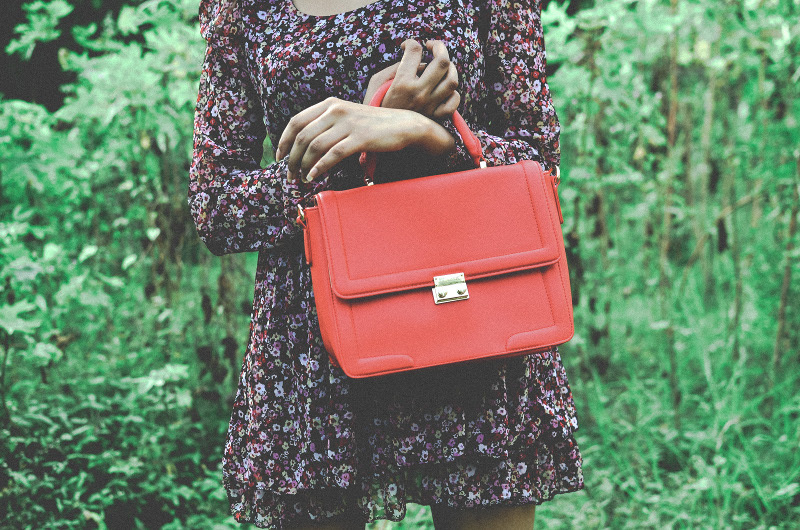 So, the red Lavie bag that I used for this photoshoot becomes an accent color that we see in nature in the form of bright flowers against the backdrop of plants and trees. I’d also like to add that for me, accents are as important as the primary colors and sometimes even more important. They are the colors found in nature. They are the small details that add character to a picture. They are the accessories that complete an outfit. 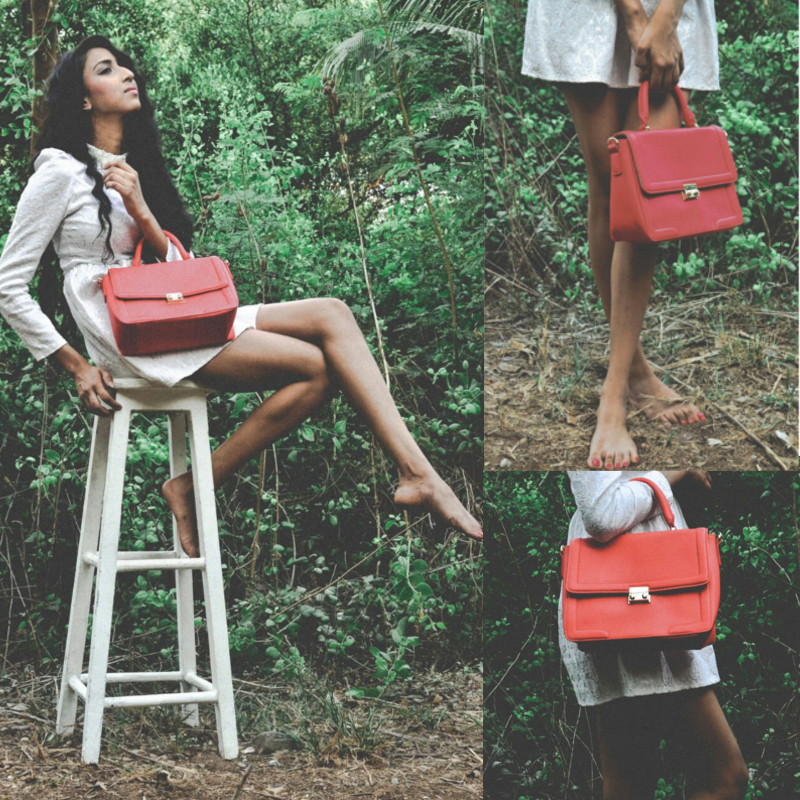 The red Lavie bag, from their SS2015 collection, in all the 3 looks is used such that it stands out like the beautiful spring leaves and flowers that stand out against the greens. All the three looks are minimal in nature, in tune with ‘photosynthesis’ and yet denote very different moods. This outfit featuring an elegant white dress in self-pattern and pearl collar teamed with the red Lavie bag is perfect to attend a day wedding. A wedding set in between a barn, stables, lavish gardens and a plantation house. 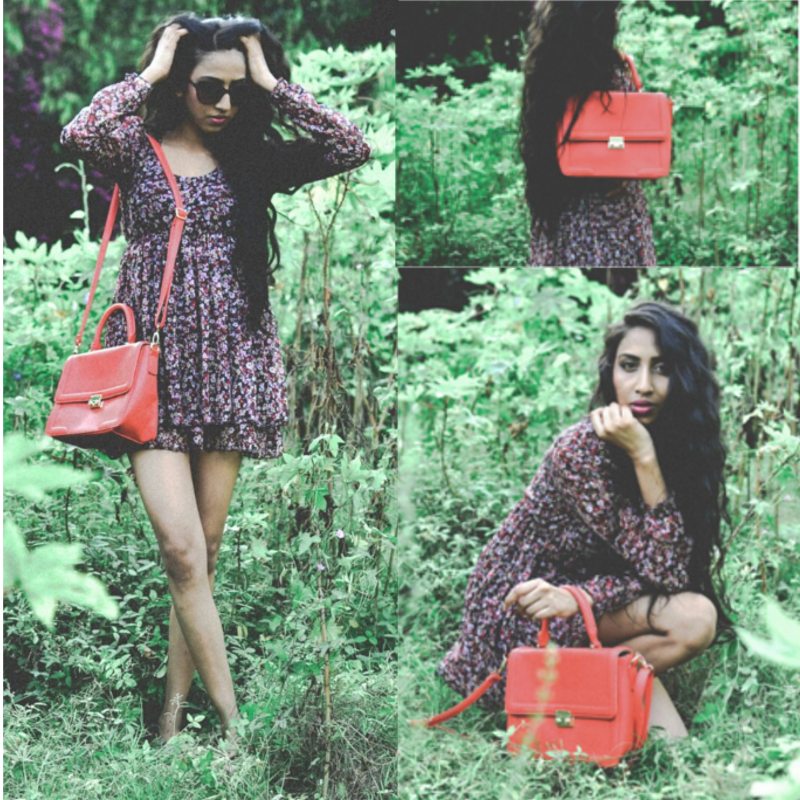 A cute floral dress, red lavie bag and soft natural makeup for a romantic outdoor dining close to nature. Think garden table nestled between trees. Think wooden chairs. 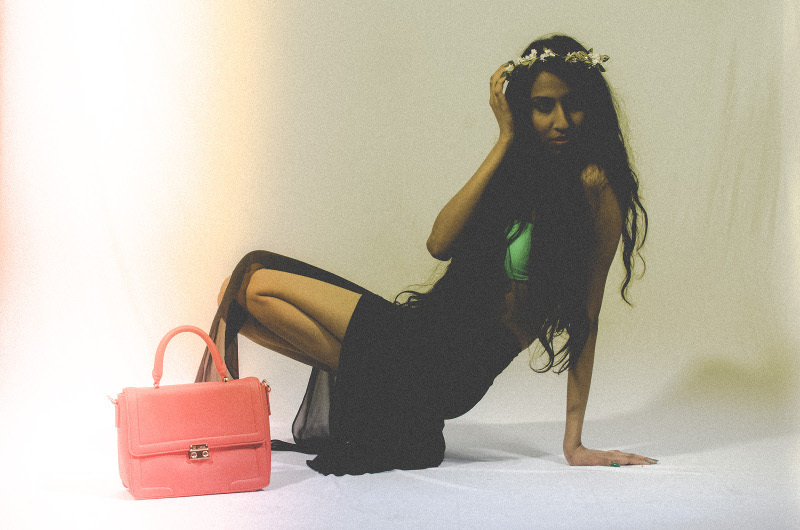 Bandeau bikini in a beautiful shade of green with long sheer skirt and red lavie bag. Day. Summer. Resort. A glammed up beach holiday with a glass of refreshing summer cocktail in hand and walking barefooot on the sand.